This event brings our community together to honor and remember those who have lost their lives to addiction and to plant seeds of hope for those who still suffer. There will be free refreshments, free helpful resources, a speaker, a seed planting, a serene farm walk, photos, families, and much more. Meet with others who have experienced similar losses and discover valuable resources for addicts, alcoholics and their families. Light refreshments will be free, farm-fresh breakfast will be for sale and merchandise will be available for purchase. 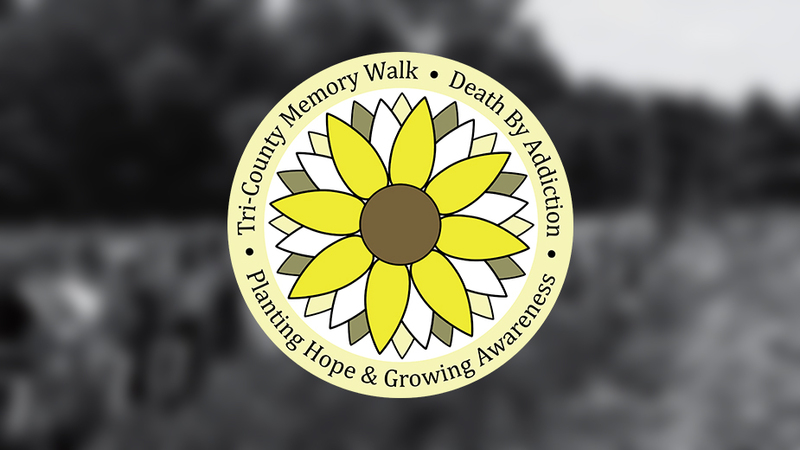 A speaker will share their experience, strength, and hope, we’ll plant sunflower seeds harvested from the flowers of last year’s Tri-County Memory Walk and we’ll walk a path lined with our loved one’s photos. Please encourage all friends and family, young and old, to come along for this day of remembrance and healing. We have a vehicle to accommodate anyone not physically able to walk the 1-mile path. Strollers are welcome but they don’t roll well in the fields. No pets allowed – this is a working farm and other animals are not permitted.